Annoyingly, Google knows a lot about its users preferences and priorities in terms of enumerable elements. However, little did you guys know about Google’s dashboard which is dedicated to every individual person. 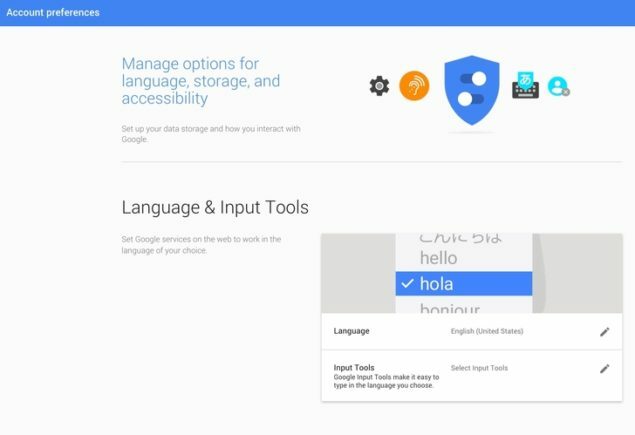 The dashboard is responsible to cater users’ concerns regarding Google’s data collection operations over online aspects. Google announced its online hub, My Account and utterly overhauled it. 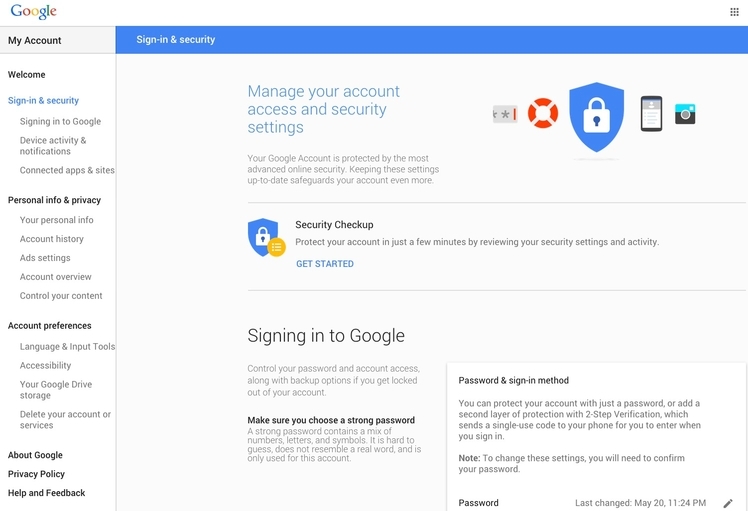 If you’re already visited Google’s My Account, you will see the changes made along with some displaced elements. 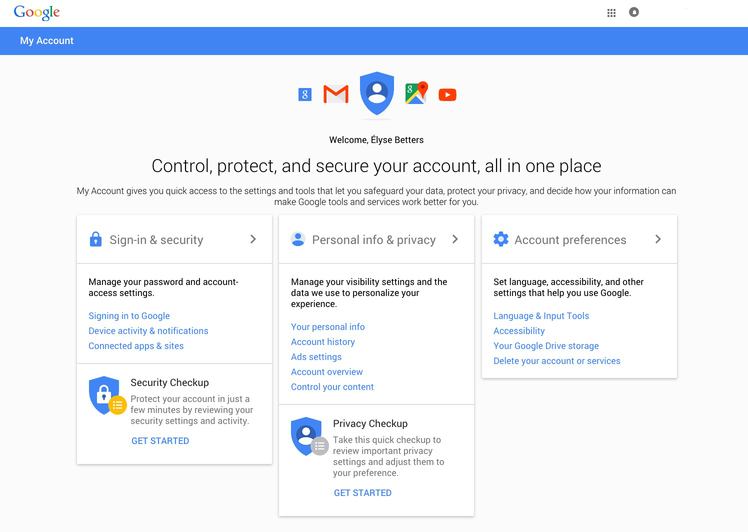 The overhauled version now separates all of your account related setting into three categories namely: Sign in and Security, Account Preferences and Personal Information and Privacy. Lets get to them in a little detail. My Account offers users with Security and Privacy checkup. These two elements lets users alter changes to their preferences like what data to be made public or private as opposed to changing priorities. Other than this, the new site also manages data resources to be used by Google to personalize your experience accordingly. For instance, users can manage their Google+ accounts’ information to be displayed to certain people or not to display specific information at all. Furthermore, the revamped site includes Ads Settings Tool that enables users to see advertisements according to their search preferences. Just because your kids are fan of Justin Bieber, I’m sure you don’t want to see search based ads on him. 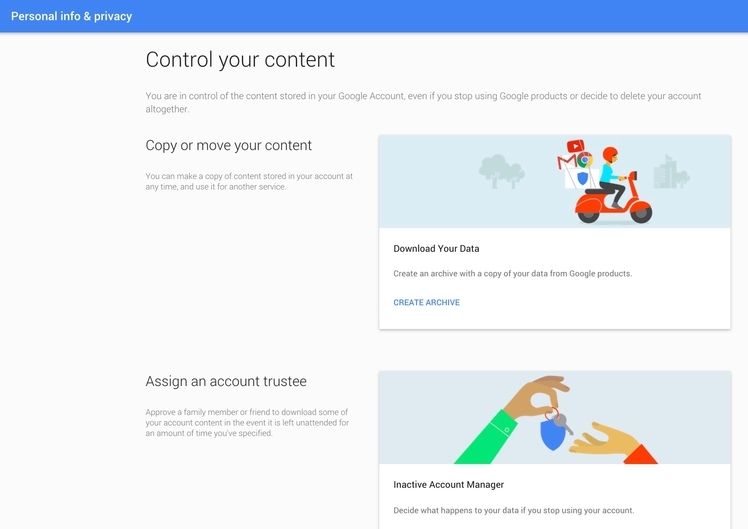 Google also enables you to make a copy of your content from the My Account website. This will come pretty handy for users who have all of their data stored on the cloud. You can also let Google to keep record of your search history, voice commands, locations and YouTube video searches. The overall might give you primary data of your usage routines and may grant you permission to either let it be available or let it be hidden. There are enumerable other features which you can see on the new site. For now, let us know your thoughts in the comments about ‘My Account’ by Google. Is the user experience easy enough for a lay man to get it?